Pharmassist is funded by the “Competitiveness, Entrepreneurship and Innovation” (EPAnEK) Operational Program for the development of innovative technologies regarding the detection of predictive cancer biomarkers by liquid biopsy approach. Pharmassist’s objective is the development and commercialization of in-vitro diagnostics, establishing the liquid biopsy into clinical practice. In this project, namely CANCER blood scan, Pharmassist will collaborate with the ACTC Lab of the National and Kapodistrian University of Athens along with pronounced University Oncological Clinical Centers. Through this notable synergy, Pharmassist ventures in ultimately obtaining CE-IVD labelling for its 2 initial IVD products. Pharmassist’s total budget has reached the amount of 302.860€, of an overall project budget of approx. 900.000€. 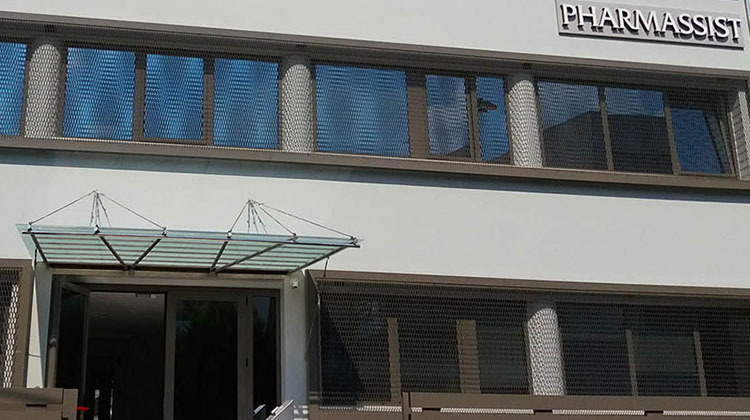 Pharmassist’s R&D activities initiated in 2014, with a significant investment in novel healthcare technologies. Furthermore the company, since 2016 has signed an exclusive licensing agreement with the University of Athens. Pharmassist has filed 2 PCT patent applications on the methodologies for detecting PIK3CA hotspot mutations and determining the PD-L1 gene expression, respectively. This research has been co‐financed by the European Union and Greek national funds through the Operational Program Competitiveness, Entrepreneurship and Innovation, under the call RESEARCH – CREATE – INNOVATE (project code: T1ΕΔΚ-02935).